There are a billion different ways to tour Philadelphia. While we love having the experience of going with a guide, we're also huge fans of the self-guided tour. Taking yourself around and doing everything at your own pace can be more relaxing and lots of fun. But where to start? 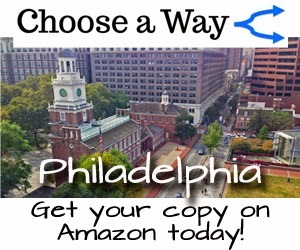 Jim Cheney from UncoveringPA.com has a solution with his new interactive ebook, Choose a Way: Philadelphia. Available for Kindle and the free Kindle App, this wonderful guide is chocked full of great ideas with 39 different locations for all different interests, ages, budgets, and schedules. 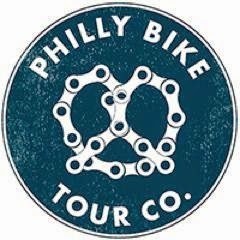 The most fun part about Choose a Way: Philadelphia is its unique "choose your own adventure" style to touring the city. 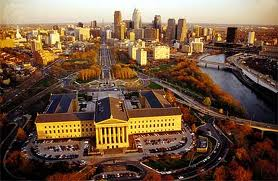 You can open the book at any time of the day and right away get started with your Philly adventure. We love how the options aren't just a list of locations, but rather a description of what visiting the place entails. Once you make your choice, then you click to the page and see where you're headed. After you've explored your first location, you then consult the book again to find your next destination choices. 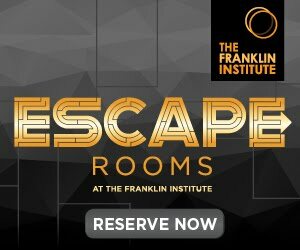 There are actually enough locations and choices to explore Philadelphia for five whole days - each a unique visit! Choose a Way: Philadelphia does not just give you a location and then leave you to figure out the city on your own. 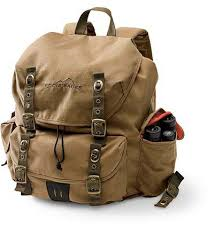 It also has pages of great advice and suggestions on dealing with public transportation, food options, what to bring, and if advanced tickets are needed for any location. We also love that it takes every possible visitor into consideration including international tourists with mentions of the airport and exchanging currency. Daily Vacationer loved the idea of Choose a Way: Philadelphia so much that we immediately set out to have our own adventure. The guide recommends having Google Maps or GPS set up on your device for an easy link to directions, but we opted for the physical Visit Philly map that you can pick up at any of the visitor centers (even following an ebook, we're still pencil and paper type people). We started our adventure between 9:00am 10:00am which gave us a great list of places to begin. 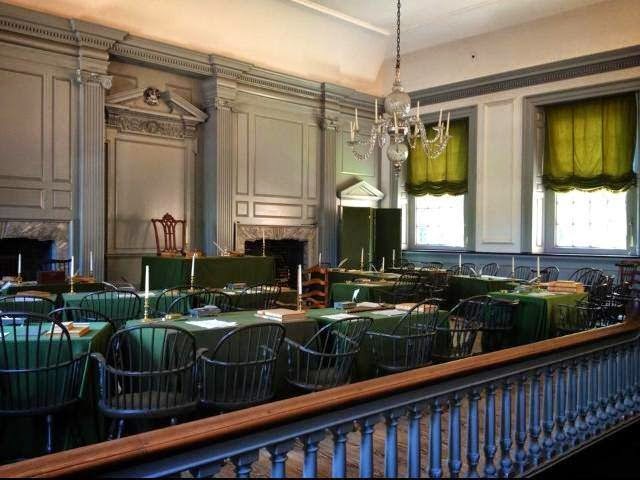 For stop number one, we opted to go full out tourist and started with a visit to Independence Hall. As the book mentions, usually timed tickets are needed, but as we went in February, we could just walk up to the security check and go right in. 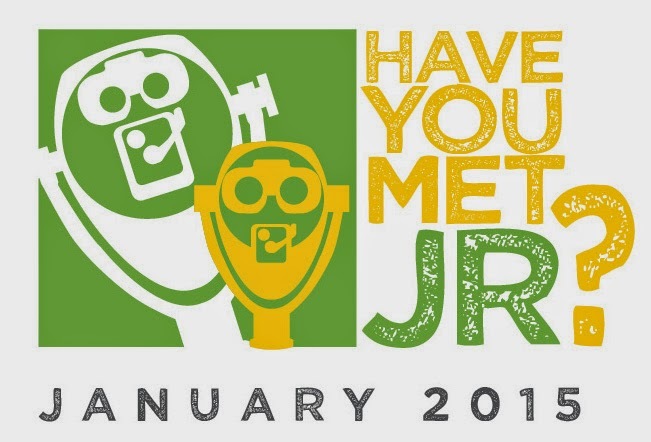 We've done this visit before, but we'd never turn down the opportunity to enjoy such an iconic historical experience. Even so, we wanted to make sure that the rest of our adventure was brand new, so our next choice was the Polish American Cultural Center - a fantastic and FREE little museum dedicated to Polish history, it's influence within America, and a look at their art and culture. With friendly staff and an adorable gift shop area, we thought this place was wonderful and plan to return again. To keep things random and fresh as we followed Choose a Way: Philadelphia, our next stop was the Chemical Heritage Foundation Museum. The slick modern interior makes for a fun contrast to its location in Old City, and we were fascinated from the moment we entered. 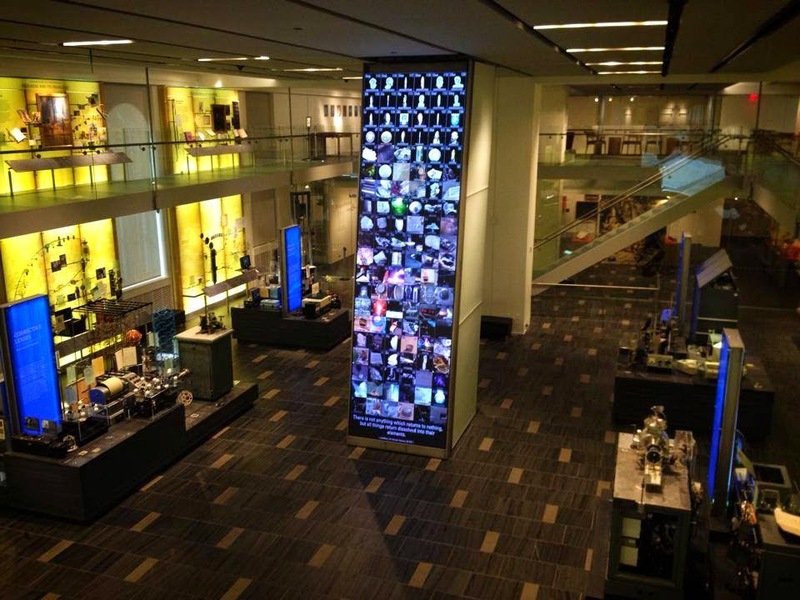 The museum is a beautiful open space of two floors dedicated to the history of and daily realities of the science of chemistry from alchemy to current uses. 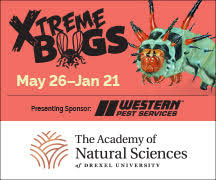 Even for non-science minded people, the exhibits are fun to look at and are filled with interesting info. Although this is not a "hands on" museum, the giant periodic table tower in the center is an interactive touch screen. The staff's passion for chemistry and down to earth way of sharing it is contagious. A visit to this FREE museum is a must for everyone! From this point, we decided to indulge a walk down 3rd Street for some of the coolest and quirkiest shops in town. Briar Vintage is always a great favorite of ours, and we love to stop in at Wedge+Fig when we are in that part of town. Even just window shopping along this route between Market and Race is a pleasure, but do yourself a favor and stop in at every place that catches your eye (it may take awhile!). For our last stop we decided to head to a place that we have heard so much about but never made time to actually go: The Franklin Fountain. 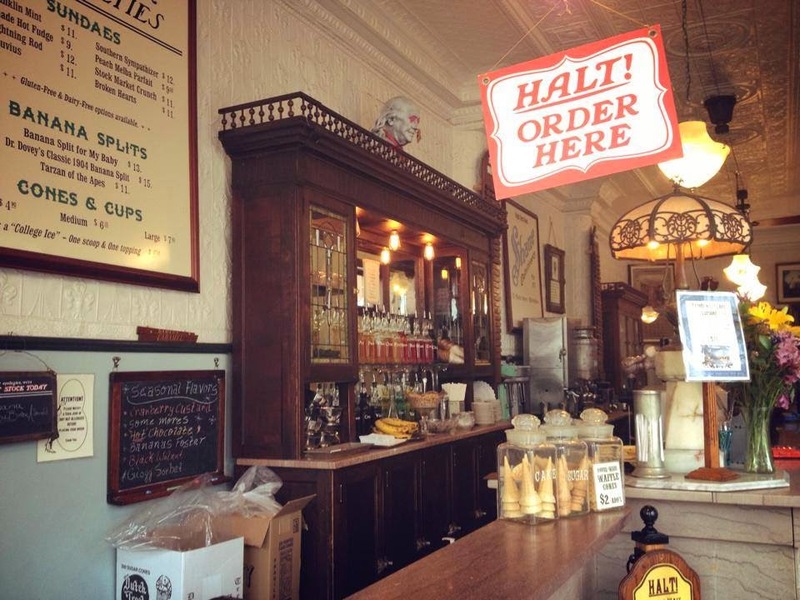 From the outfits of the staff to the ancient cash register, this old-fashion soda fountain tucked near Penn's Landing is a fun recreation of a beloved bygone era. The place can get hopping in warmer weather, but thanks to our visit in the middle of winter, we were able to peruse all the choices before making a decision (and there are A LOT of choices). We thought an ice cream sundae was a fitting end to one of the coolest day we've ever had in Philly. After taking Choose a Way: Philadelphia out for a spin ourselves, we definitely recommend this unique guide to anyone and everyone. This guide book is a great purchase for yourself, but it would also make a great gift to anyone who loves or is planning to visit Philadelphia (did we mention it's only $6.99??) Within the span of one day we explored history, science, culture, fantastic shopping, and yummy food - most of it in places that we wouldn't have normally planned to go on our own. 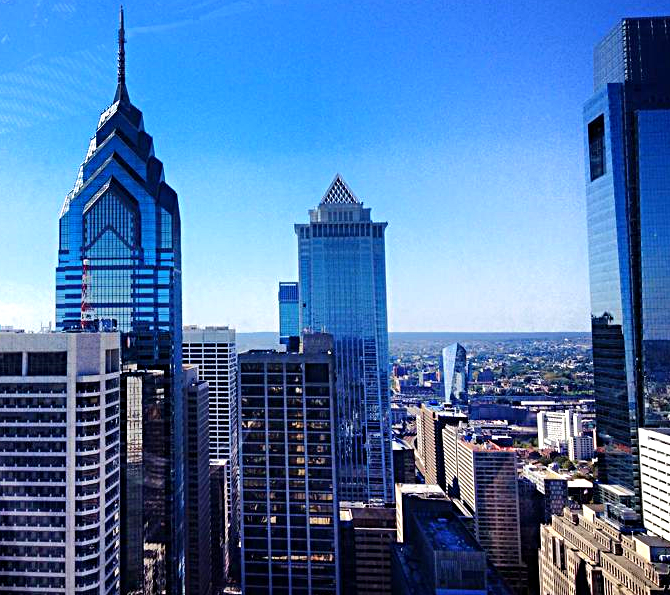 We certainly had an adventure in Philadelphia, and we can't wait to go back and choose a whole new way next time! 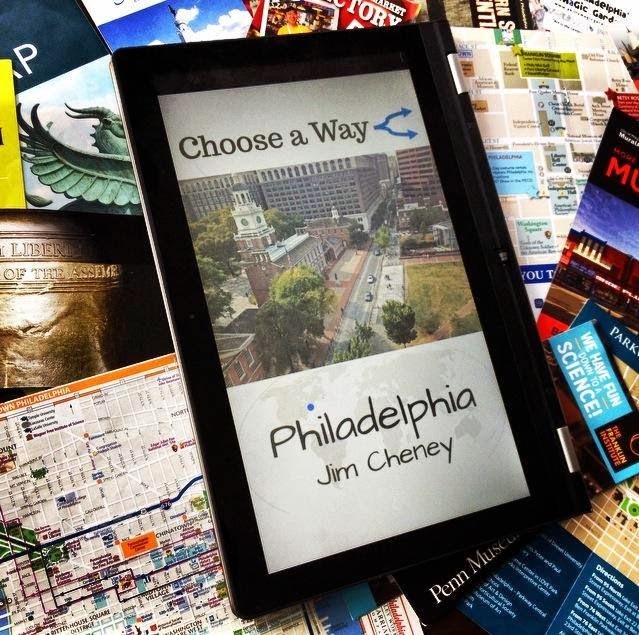 Choose a Way: Philadelphia author Jim Cheney is a travel writer and photographer based in Harrisburg, Pennsylvania. His writing focuses primarily on the state of Pennsylvania, but he also writes about his extensive world travels through Europe, Asia, and North America. 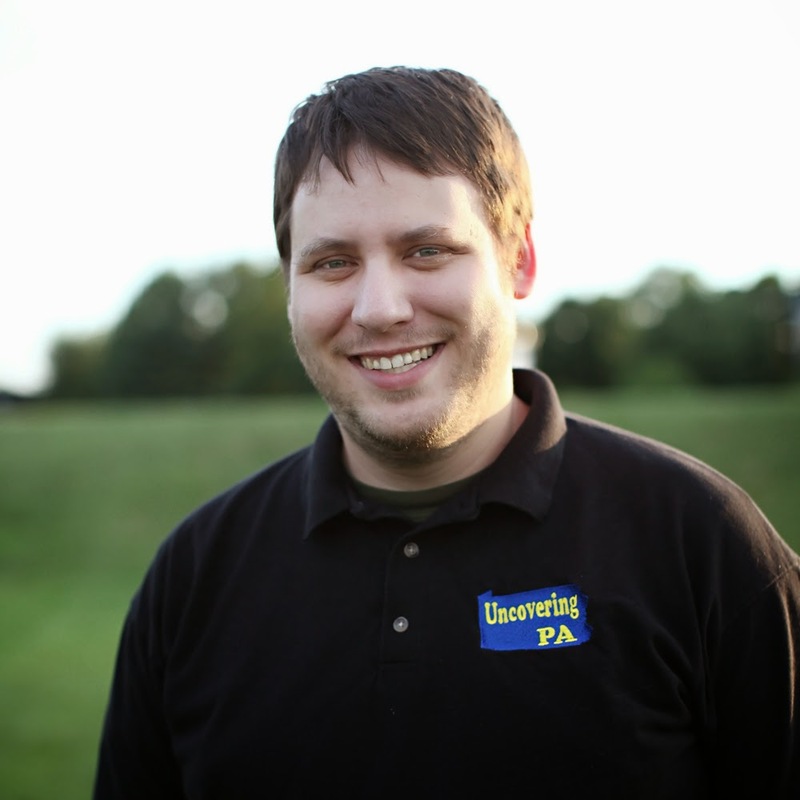 Jim is one of the foremost experts on Pennsylvania, and writes UncoveringPA.com, Pennsylvania's top travel blog. GPS Maps, Directions & City Guide app will help you to find Driving Directions, GPS Navigation, find Traffic free routes, find address on Google Maps and will fetch you and show various places around your current location.